We’ve all heard the old saying that “one man’s trash is another man’s treasure” but husband-and-wife duo Chris Arkell and Cinci Csere have taken things to the next level. The duo has parlayed the sentiment into the wildly successful Sea to Sky Removal, an environmentally progressive waste hauler that has implemented the first recycling stations on Lower Mainland construction sites. 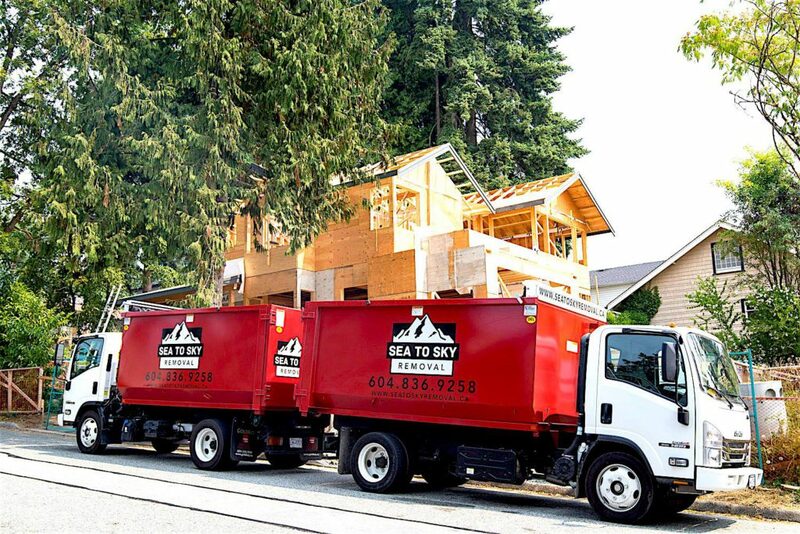 Through a mix of education, leadership and hard work, Sea to Sky Removal aims to improve the construction industry’s waste disposal practices. They offer recycling tips to construction crews used to tossing all their waste into the dumpster. And, as an added incentive, they even donate reusable items to non-profits. When starting a business, it’s important to consider what problem your product or service will solve. For Chris and Cinci, it was the waste inherent in an industry Chris had called home for over 25 years. Pooling their individual talents, the duo formed Sea to Sky Removal and immediately set about making a difference. “The business began because we realized a greener approach to construction waste removal was badly needed in the industry,” Cinci explained. Since starting in January 2016, the Squamish-based business has expanded to service the entire Sea-to-Sky corridor, providing the first ever dedicated construction waste recycling stations at Lower Mainland construction sites. With BC’s building boom filling our skylines with cranes, Cinci believes a more sustainable approach to waste is the only way to ensure this growth continues. “In order for the construction sector to keep growing, companies will increasingly have to rely on economically sustainable business practices. “By ensuring as much construction waste as possible is diverted, recycled and upcycled, we know our business is having an impact on the economic sustainability of the industry. The demand is clearly there. We’ve found that our product has been a fit in two markets already, allowing us to expand to two trucks. One of Sea to Sky’s hallmarks so far has been their excellent use of social media to market their business. The accounts are maintained by Cinci, whose former life at the helm of a boutique marketing agency has proved more than a little useful. “With my experience engaging online with other brands I feel like I finally have a platform to share our story,” Cinci revealed. “We have a strong online community through Instagram, Facebook, LinkedIn and Twitter in which we have built relationships with construction companies, recycling organizations and like-minded businesses locally and internationally. Sea to Sky Removal’s success is a testament to the hard work undertaken so far by Cinci and Chris. At the 15th annual Small Business BC Awards in February 2018, they beat out an extremely competitive field to take home the ‘Best Concept’ Award. The result? More exposure and more opportunity to share their mission with the world. “Winning the award has given us the opportunity to open up the conversation around construction waste and landfill diversion,” Cinci explained.